Donate Online Now with our secure donation form. You may send a printable donation form (pdf) with your check or credit card information for the Annual Fund, Bookplate Gift Program, or Endowment. To include the Library in your estate plans and join the Maria Hastings Cary Legacy Society, please complete and mail a planned giving form (pdf). The Cary Memorial Library Foundation is a registered 501(c)(3) charitable organization, (Tax ID number 04-3462996). All donations are tax-deductible. 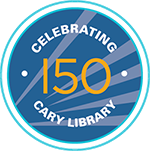 Unless specified otherwise, donors’ names are recognized publicly in a listing posted in the Library.Thank you for your generous support of Cary Memorial Library!